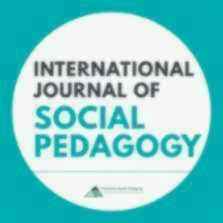 This paper discusses the nature of the professional expertise needed in residential child care (RCC) in light of recent debate on social pedagogy. Focusing on the question of what kind of expertise is introduced in this debate, the paper deals with the contribution of social pedagogy to the professional development and professional competences of the RCC field, as well as the characteristics of professional knowhow in particular. The paper discusses also the research on how RCC expertise is constructed among RCC workers and how they demonstrate their expertise to other professional groups. The final aim is to outline a social pedagogy-informed profile of professional RCC competences. The purpose is to stimulate and enable multidisciplinary reflections about different kinds of expertise and shared responsibilities, towards developing an integrated framework for RCCs. Moreover, the paper emphasises the relevance of social pedagogy as a subject for training to promote RCC professionalism. Copyright statement: © 2019, Eeva Timonen-Kallio and Juha Hämäläinen. This is an open access article distributed under the terms of the Creative Commons Attribution License (CC BY) 4.0 https://creativecommons.org/licenses/by/4.0/, which permits unrestricted use, distribution and reproduction in any medium, provided the original author and source are credited • DOI: https://doi.org/10.14324/111.444.ijsp.2019.v7.1.010. How to Cite Timonen-Kallio, E.; Hämäläinen, J. (2019). Social pedagogy-informed residential child care. International Journal of Social Pedagogy, 7( 1): 10. DOI: https://doi.org/10.14324/111.444.ijsp.2019.v7.1.010.